Lumo Run does one thing only, but does that one thing so well. For a while, fitness companies were all about putting sensors in your clothes to measure everything from your heart rate to the way your foot lands on pavement. But clothes with sensors in them are expensive, which makes them niche products that appeal to only die-hard data nerds. That’s why connected workout gear maker Lumo is separating the sensor from its smart running shorts and capris, which I previewed at CES this year, and selling it as a stand-alone product beginning Monday. I’ve been using the new $100 Lumo Run sensor clipped to my running shorts and can attest that it’s much more appealing on its own than when it’s baked into a piece of workout apparel. The Bluetooth Lumo Run sensor comes with a clip that you attach to the back of your running bottoms—whether they’re shorts, capris, or pants. It doesn’t matter. The device, which lasts for 20 hours of running on a single charge, pairs with the Lumo Run app on your phone to give you the nitty-gritty details of your running patterns. First, you have to take Lumo Run on a 10-minute run with the app open on your phone to get a baseline evaluation. 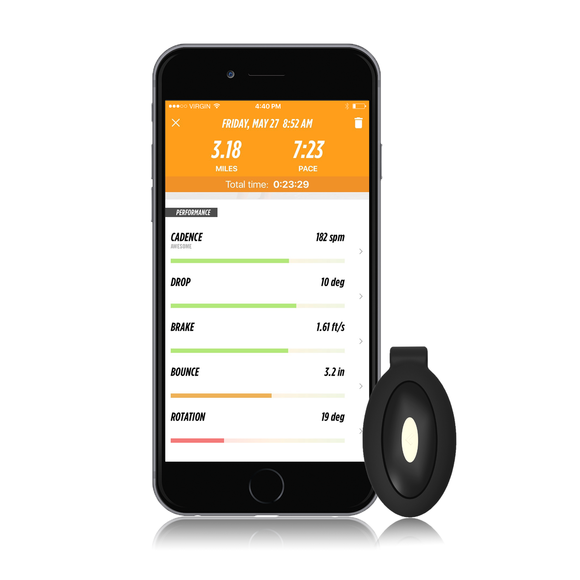 The sensor measures all kinds of data: foot cadence, bounce rate, pelvic rotation and drop, and the change in your forward speed, in addition to more common data points like total mileage, split miles, and pace. Those data points are presented at the end of each run, along with advice for exercises that can improve your form (and helpful videos to walk you through those exercises). After this evaluation run, you can use Lumo Run on its own without your phone and then sync the device later, but you’ll lose the benefit of Lumo’s voice coach. I have a problem. I’m an incredibly short person who has tall person envy. So I run like I have much longer legs than I actually do, which means I overstride. I already knew this about myself, but with Lumo Run’s data in front of me and the app’s voice coach in my ear telling me to pretend I was running through puddles, I was able to shorten my stride and improve my cadence, or steps per minute. The app recommended that I do toe taps in my downtime to get even better. The in-app post-run summaries offered incredibly detailed overviews of where I need to up my game (apparently my pelvic rotation is abysmal) and why (I’m stronger on one side than the other, so my running is imbalanced). I’ve tested all manner of fitness trackers, and no wrist-worn activity band can get into the details that serious runners are interested in like Lumo Run does. The addition of actionable advice you can use both during your run and afterward is worth the price if you really want to upgrade your performance on your own. Lumo’s decision to separate its sensor from its clothing makes perfect sense, mainly because of the logistical concerns with sensor-filled workout gear. 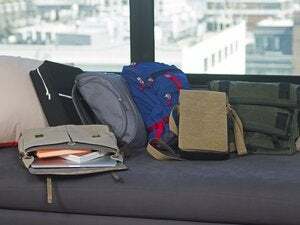 Sure, clothes that can track your workouts without a fitness tracker or a phone seem really cool, but these are clothes you sweat in and wear through more quickly than the average item in your wardrobe. Who wants to spend $200 on a pair of running shorts? Not me. I also appreciate that I can wear the Lumo Run and a wrist-worn fitness tracker at the same time, because they offer different insights. Lumo’s device is specific to running—it doesn’t track steps, calories burned, sleep, or any other standard activity metric. It only does one thing, but it does that one thing so well.